Long day and night? 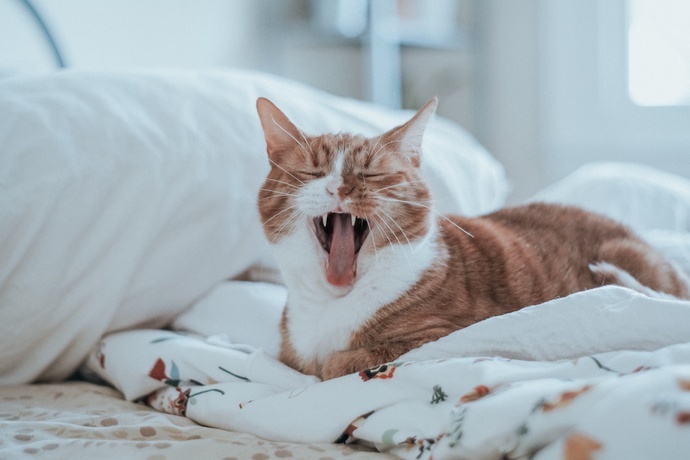 Hang in there for Fridayblog! We’re talking results, election day performance, celebrity tweets and what’s next! At the time of writing, the results have been announced for the vast majority of councils. So you can quickly Google to find out who your new councillors are, right? Oh. All the big news channels’ reporting is just of council control. Which is exciting, maybe, at a national, politics-geek level. But it doesn’t tell you who’s going to represent you in the council. The UK still lacks open election results data. It’s getting a little bit ridiculous now. But we’re not. And that is making the democratic process seem out-of-date, which should be a bigger concern than fears over foreign interference or dodgy digital advertising. There has been some work on this: the Local Government Association and the LGiU are pushing for this to happen. There’s a data schema and everything. But councils need to publish according to it. In the meantime, Democracy Club is having another crack at filling the results data gap: aggregating ward-level data from council sources and publishing it as a CSV and an API. As always, we need your help! We’ve also got a ResultsBot looking around and slurping data from council websites, but it won’t work in all cases. 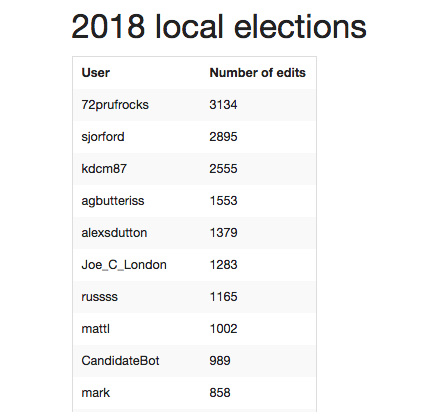 So crowdsourcers are very much still required — check the CSV to see what we’ve already got, pick a missing council, find the results on their website and start adding data here. There are folks working in the #election-results channel of our Slack if it’s helpful to compare notes! Overall, yesterday gave us the impression that we are now the go-to place for voter information (whether that’s provided through our website or data reusers). We lost count of the sources linking to us. From all across the political spectrum to all types of news media. From councils across England putting our stuff on their homepage to hundreds of mentions in tweets between friends. It feels like we don’t have to prove that there is a user need any more. Perhaps in some ways this is what success looks like for a tiny organisation powered by volunteers. Now it’s ‘just’ about increasing the coverage and the quality of information, which maybe shouldn’t be the responsibility of a tiny non-profit. Maybe either we scale up or some big institution should take on this work. It’s fun to hear individual stories of our work living in the world. Hello! If you’re registered to vote, pop your postcode in here: https://t.co/9rY948K16B ! Thanks @democlub Just used your site to direct voter to the right polling station. None of our work would be possible without an army of volunteers and supporters. That’s both folks within councils making the case for us and the incredible data wombles going through PDFs to make useful data for everyone, or poring over local party websites to find photos, statements and email addresses. The crowdsourcing efforts seem to outdo themselves every year. Here’s the top ten on the LE2018 leaderboard — top stuff. We’ll try to send all our top contributors a little something. In the short term, we’ll be doing more analysis of our numbers, looking at areas where we had high usage, looking at the quantity of information we had on candidates, and more — as part of our big review of the election. In the medium term, we have sketched out a plan that we’re going to spend some time chatting through with potential funders — we’ll write that up as a blog post soon. We also hope to throw a democracy summer party to come together to chat through this stuff in person. Keep an eye out for an invite.